Smart have long been the front runners in providing architectural aluminium Alitherm window and Visofold / Visofold sliding door systems for homeowners and main contractors. They have maintained their status at the front of the industry because they continue to innovate their products. In this article, we take a look at Smart’s latest innovation on a Smart product that we install a huge amount of: The Smart Visofold sliding door. We are a supply and installation company, we source our products from the very best suppliers in the country. That we, we can focus on what we do best; install and guarantee. As an installation company, we deal with end customers (homeowners) on a daily basis. 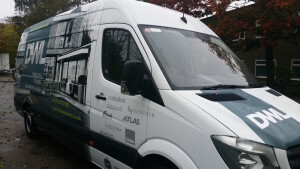 At time of writing (March 2016), we have 8 teams in our vans out on the road installing our products into homes all over the South East of England. When it comes to choosing aluminium windows and doors, more often than not, the end customer is after the thinnest possible frame to maximise the size of glass and subsequent light that will pour into their new extension to their home. Our customers choose our aluminium windows and doors because they have the sought after slimline frames. Late in 2015, Smart released the new 35mm mullion (also know as ‘interlock’ or ‘meeting style’). This is the vertical piece of aluminium frame on a sliding door that separates the glass. Here is a picture of a Smart Visofold sliding door of ours with a standard 84mm mullion. We installed this in a project in Whitstable, Kent, which can be read about here. It’s still a lovely door into a beautiful extension. Below is a Smart Visofold sliding door of ours using the new 35mm mullion on a beautiful traditional property in Kent. The installation can be read about here. We also have a 2 pane Visofold sliding door with the 35mm mullion at our showroom too. As is clear from the photo above, even with a small opening, the new thinner 35mm mullion makes the most of the opening and diminishes the frame size giving the customers the modern slimline look they were after. 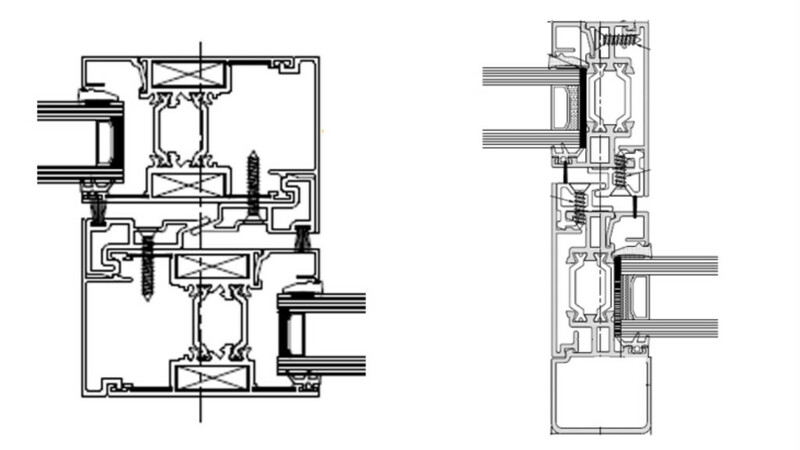 The section detail below shows how the mullion has changed on the Smart Visofold sliding door. Given the thinner mullion, the size limitations have changed slightly compared to the old thicker mullion. We can advise you on this and if your project is affected. To date, we have installed around 10 of the new slimline Visofold patio doors, and we are sure this will continue!